The Maine chapter of Native Fish Coalition (ME NFC) and Downeast Salmon Federation worked with Maine Department of Marine Resources (ME DMR) to add a brook trout fact sheet to the Do You Know Your Catch? webpage on the DMR website. 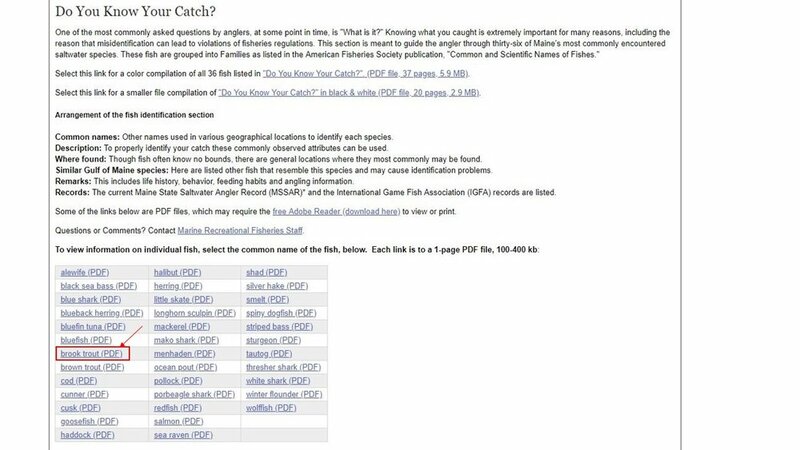 Prior to this, federally endangered Atlantic salmon and nonnative brown trout were the only two salmonids listed on the web page noted above. Now not only will those fishing in Maine know they could encounter a native brook trout in coastal waters, but if they are interested they can learn a bit about them. Special thanks go to ME NFC Chair Emily Bastian, DSF Executive Director and ME NFC Advisory Council member Dwayne Shaw, NFC National Advisory Council member Ben Brunt, artist Joseph Tomelleri; and Chris Uraneck, Sean Ledwin, and Commissioner Pat Keliher from ME DMR for making this happen.